Shell freshly fractured. Soaking wet, chick wobble, cheep cheep cheep, every sparrow starts naked and bewildered. So does this collection. Then page by year by life experience; pinions form, feathers fluff to cover and warm. Wobble turns to wonder, storms weathered. Nest explored as erstwhile shelter, soon to prison turned. Then flight – sweet flight, skyward flutter, windward soar, new lands; new life, evolved from old. Sparrow flies free. 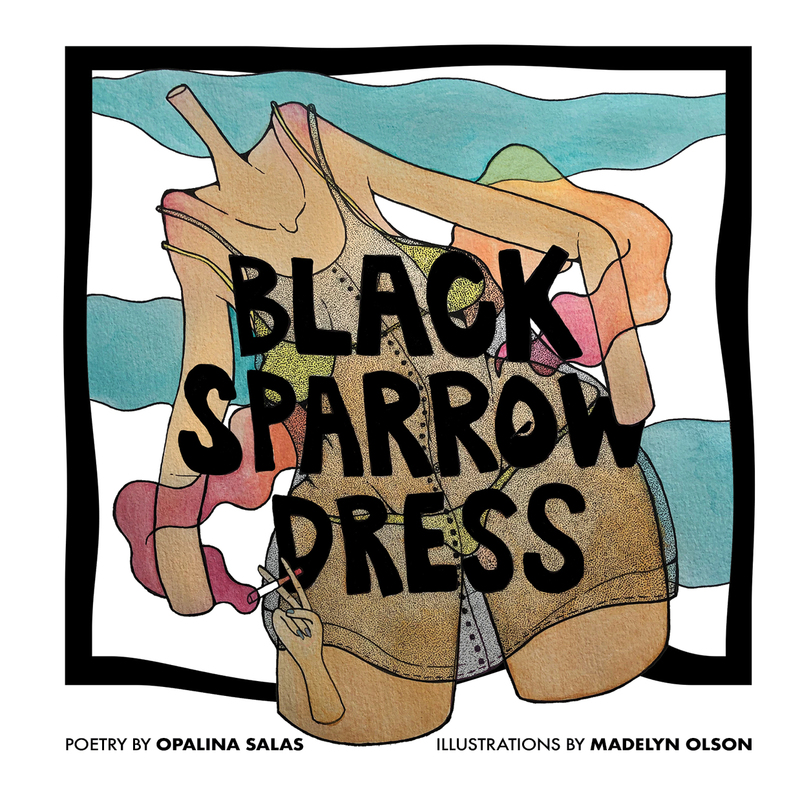 Mad Swirl Press is very honored to be the publishing home for Opalina’s poetic collection. This 80-page beauty is filled with 20+ years of her powerful poetry and complimented quite nicely with a handful of full-color mind-bending illustrations by artist Madelyn Olson.